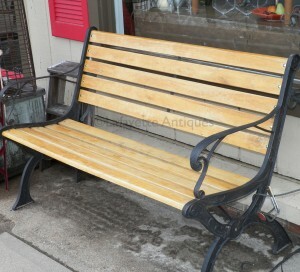 We have a lot of outdoor furniture that has arrived at the store. This is just a small sampling. All are available for pick up at the store! 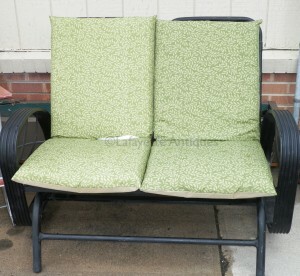 2 seater glider with new cushions ~ great for watching sunsets with your honey! 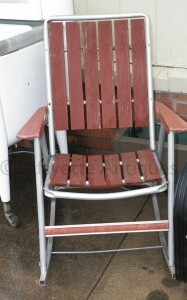 This a cute metal & wood folding rocking chair. Great for those ball games!